Auburn High School finished their regular season with a win over 5A Demopolis High Friday night. Auburn struggled in the first half and went into half time tied 10-10. After halftime, Auburn’s defense shutout Demopois and Auburn’s offense scored three unanswered touchdowns to build some confidence going into the playoffs next week. Auburn finished the regular season 7-3 and will head to Davidson next week for the first round of the 7A playoffs. The AHS Football broadcast team of Bill Cameron, Gabe Gross, Chuck Furlow, and Scott Bagwell. The game can be heard on Wings 94.3. In 1956, Elvis Presley’s song “Love Me Tender” became the No. 1 Billboard Pop Hit. He became the first artist to follow himself into the No. 1 position. The song “Don’t Be Cruel/Hound Dog” had been the No. 1 song for 11 weeks. In 1956, Elvis Presley appeared on the Ed Sullivan Show for the second time. In 1965, The studio recording of “My World Is Empty Without You” was made by the Supremes. 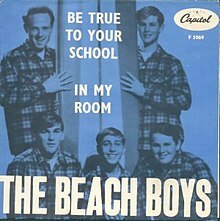 In 1963, The Beach Boys’ “Be True To Your School” was released in the U.S. In 1972, The United States Council for World Affairs announced that it was adopting The Who song, “Join Together” as its official theme. In 1972, Elton John’s single “Crocodile Rock” was released in the U.K. In 1975, Bruce Springsteen was simultaneously on the cover of “Time” and “Newsweek.” This was the first time this happened for a rock star. In 1981, Queen and David Bowie released the single “Under Pressure” in the U.S. In 1965, The Beatles were awarded the Member of the British Empire medals. In 1970, Elton John’s “Your Song” was released in the U.S. In 1980, In Los Angeles, CA, Paul Kantner from Jefferson Starship suffered a brain hemorrhage during a recording session. He stayed in the hospital for 15 days. 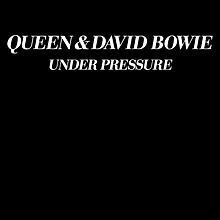 In 1981, Queen and David Bowie released the single “Under Pressure” in the U.K. In 1960, Mick Jagger and Keith Richards accidentally met on a train. They had known each other previously from school. In 1969, “Ummagumma” was released by Pink Floyd in the U.K. In 1963, The Beatles left Great Britain for their first tour outside of their homeland. In 1974, In London, “Stardust” premiered starring David Essex. In 1978, In Toronto, Keith Richards (Rolling Stones) pled guilty to heroin possession. He was given a one-year suspended sentence. In 1980, Guinness Book of World Records gave Paul McCartney a rhodium-plated disc for being history’s all-time best-selling songwriter and recording artist. In 1989, The Four Seasons, the Kinks, The Who, and Simon & Garfunkel were inducted into the Rock & Roll Hall of Fame. Friday night, the Auburn High Tigers finish off their final home game in the regular season with a win over Jeff Davis 28-21 on senior night. Auburn running back Garrett Morris rushed 27 times for 163 yards and two scores, while quarterback Brooks Fuller completed 9 of 13 passes for 129 yards and two touchdowns. The Tigers hit the road for their final game of the year against Demopolis this Friday, October 28th. That game can be heard on Wings 94.3, with pregame beginning at 6:30 and kickoff at 7:00. With the win, Auburn clinches the #3 seed in their region and will face #2 seed Davidson on the road on November 4th. That game can also be heard on Wings 94.3.